The Litchfield Veterinary Hospital is proud to employ highly skilled animal care providers. A certified veterinary technician is the equivalent to a nurse in human medicine. Our technicians are compassionate, knowledgeable animal care providers that assist the veterinarians with patients and are available to answer questions for our clients. Our doctors believe that trained veterinary technicians are essential in providing exceptional care for animals, and invaluable in monitoring anesthetized and critically ill patients. Our technicians also play an important role in educating clients about pet care and explaining medical treatments. Follow this link to the AVMA ( American Veterinary Medical Association) to learn more about Certified Veterinary Technicians. 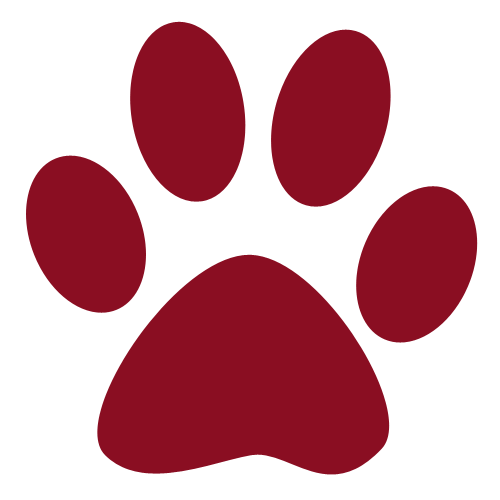 Mary-Ellen is a certified veterinary technician who graduated from Becker College in 1981 with an Associates of Science Degree from the Veterinary Technician program. She worked at Angell Memorial Animal Hospital in Boston, MA as a radiology technician for 4 years. After marrying, she moved to Connecticut and was employed at a large referral practice for 13 years. Her duties included surgical monitoring, radiology, lab work, patient care, and assisting the orthopedic surgeon. She was trained to operate the first installed cat scan for pets in Connecticut. After becoming a mom, she decided to work closer to home. In 2002, she joined the staff at LVH and has been a great asset to the technical team. For many years she has worked as our lead technician and in 2015 was joined by Heather as a co-leader. Mary-Ellen is a certified Veterinary Technician and a member of the CAAHT. She is kept busy with her family which includes two akitas, "Kuma" and "Gracie", and a cat named "Angelina". In her free time she can be found gardening, scrapbooking, reading, or helping with the continual renovation/redecorating of her home. Heather is a certified technician that began her career in 1992 as a kennel assistant. Within two weeks of starting, she was moved into a veterinary assistant position and it was there that she found her passion and began her journey into becoming a certified veterinary technician. Heather has been a part of the Litchfield Veterinary Hospital technical team since 2003, and earned her certification in 2006. In 2015 Heather became a co-lead technician with Mary-Ellen. She enjoys all aspects of nursing care with a particular interest in phlebotomy and intravenous catheterization. Heather states, "I love the daily challenges that veterinay medicine provides." She is a member of the Connecticut Association of Veterinary Technicians. Heather continues to further her education through educational seminars and continuing education programs. She would like to become a licensed wildlife rehabilitator. When not at work, Heather enjoys spending time outdoors camping, kayaking and hiking. She also enjoys making friends with all the wildlife critters that look forward to seeing her, as she always brings them treats! Heather and her fiance are owned by their four legged children, a Rhodesian Ridgeback mix named, "Meeko", a Golden Retriever named "KC" and three cats rescued at five days old, "Hemi-Cuda", "Viper" and "Jaguar". They all reside in Litchfield County. Heather spends most of her "time off" training with her dogs, "Meeko" and "KC". She and "Meeko" train in Canine Nose Work (scent work). She hopes to do Search and Rescue with "Meeko". She adopted "KC" as a puppy in 2015 and is working on obedience with him. Pam has worked in veterinary medicine since 1987. She studied biology at Eastern Connecticut State University and obtained her Veterinary Technician certification in 1995. Pam first joined Litchfield Veterinary Hospital in 1999 and was a part of our team for 7 years. In 2006 she became a full time mom and has since enjoyed raising her 2 children. In December 2011 Pam rejoined our team part-time. Her areas of interest include surgical nursing, dentistry, animal behavior and client education. 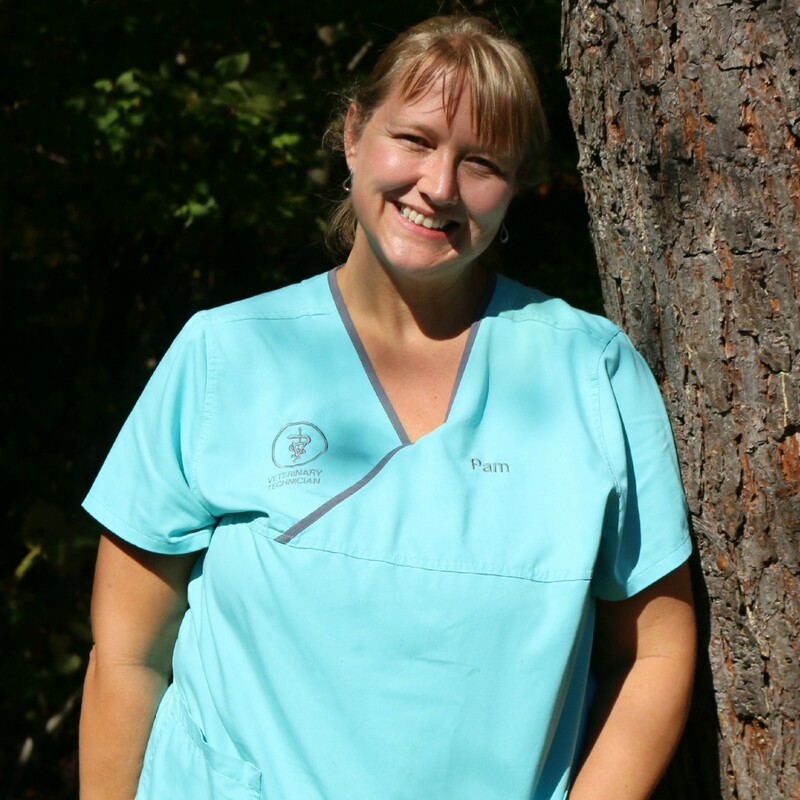 "I love having the opportunity to work with clients and share my knowledge of veterinary medicine with them. I find this gives the clients a better understanding of what we do and enhances the relationship they have with us and their pet allowing us to provide the best possible care to our patients". As our social media coordinator, Pam maintains our hospital website and social media pages. In reference to social media Pam states, "As a team we are dedicated to connecting to our clients in order to take care of their pets and now through social media we can stay connected even when our patients are not in the hospital, we want everyone to know how much we love what we do". Pam has been a member of the CAAHT and continues her education through educational seminars. Pam and her husband enjoy spending as much time outdoors with their children. They enjoy photography, camping, boating, skiing, bike riding and hiking. The whole family participates in the the Tang Soo Do style of martial arts. When not outdoors they can be found inside the hockey rink. They reside in Washington with their Golden Retriever rescue, "Tanner" and 2 cats, "Inky" and "Smudge". Christina is a licensed veterinary technician, originally from Long Island, NY. She began working in veterinary medicine in 1998 and became licensed after completing the veterinary technology program at Suffolk County Community College, in 2001. Christina has worked with the Long Island Veterinary Specialists in emergency medicine, the Atlantic Coast Veterinary Specialists in surgery, and the Veterinary Medical Center in Central New York, in internal medicine. She joined the LVH team in April of 2014. She has always had a passion for emergency medicine but has enjoyed expanding her knowledge in other areas. In August of 2015, Christina shifted her role and is utilizing her technical and customer service skills as our lead receptionist. Christina continues to expand her knowledge of veterinary medicine. Over the years she has attended the Continuing Education for Veterinary Professionals Conference at Tuft’s University in Boston, MA, the American College of Veterinary Internal Medicine Conference in Seattle, WA, the North American Veterinary Community Conference in Orlando, FL, the Unconventional Veterinary Conference in Washington, DC, the American Veterinary Medical Association Conference in Chicago IL, the Connecticut Veterinary Medical Association Conference in Hartford, CT, as well as many small local conferences and wet labs from Long Island, Central NY and Connecticut. Nicole graduated from the Veterinary Technology Program at Northwestern Community College in May of 2014. She started working at Litchfield Veterinary Hospital during her externship in January of 2014 and after completing 200 hours of field work, joined our team in April of 2014. Nicole enjoys all aspects of veterinary medicine with a special interest in dentistry and small animal nutrition. She is also interested in large animal medicine although not presently working in the field. In addition to her veterinary technology position, Nicole is a sergeant in the Army National Guard, working in the Health Care Specialty field. Nicole is originally from Granby, CT. but currently resides in Torrington. She lives with her many pets including two cats, "Codey", the Siamese and "James", a domestic shorthair hand raised as a kitten. She also has 4 greyhounds named "Daisy Mae", "Flyer", "Nina" and "Danny". In her spare time, Nicole loves to hike with her dogs. They attend special greyhound walks with a Connecticut greyhound rescue and other greyhound fans. She also fosters and adopts out many greyhounds for the greyhound rescue, We Adopt Greyhounds, and fosters small pocket pets for Mainely Rat Rescue. Amanda attended the Pittsburgh Vet Tech Institute in Pennsylvania. She graduated in April of 2013 and is working towards her certification. Amanda enjoys all aspects of veterinary medicine with a special interest in large animal medicine and laboratory work. She currently resides in Winchester with her cat "Mayhem". In her spare time, Amanda enjoys riding her Morgan horse, "Smokey".